Welcome to Allen Stoneware Gallery LLC! If you would like to bring your imagination to life through the art of pottery, look no further than our pottery art classes taught by the professional artist Vickie Allen-Shea. 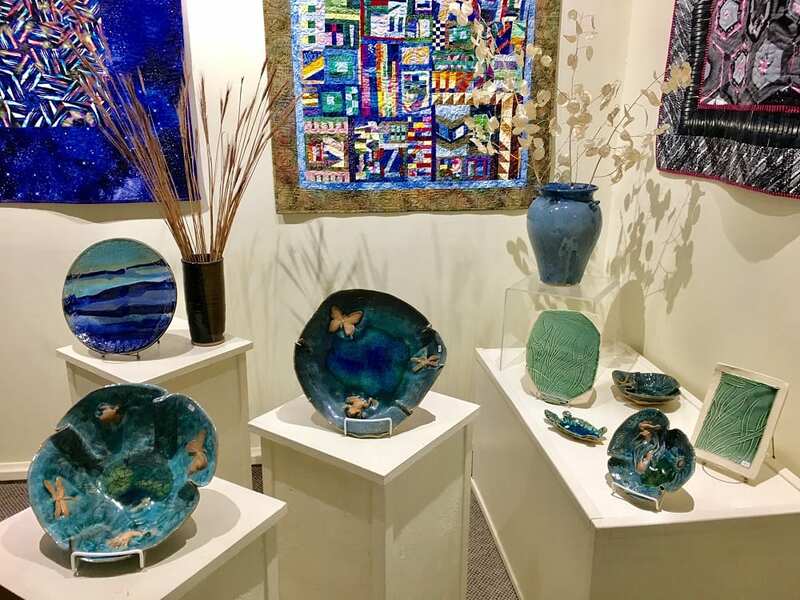 Vickie has been creating art in her gallery and presenting handmade functional stoneware pottery at regional craft fairs for about 40 years. Vickie Allen-Shea has also been training students in the art for nearly four decades. This experience coupled with her high level of energy and passion for this art makes her stand out among pottery artists. At Allen Stoneware Gallery, we offer workshops, presentations, events, and parties that nurture and encourage your artistic talents. Our studio is equipped with eight potter's wheels with three kilns. You are encouraged to use a hands-on approach in making wheel thrown pottery. We show you how easy clay art is formed. You can also paint your own pottery for a masterpiece you'll always treasure. Every student enjoys playing with clay. At Allen Stoneware Gallery, we teach how to express yourself with clay while also having fun. We know fully well how playing around with clay releases stress and uplifts your spirit. This beautiful gallery has local, handmade pottery for all budgets and occasions. Stop in and pick out the perfect gift for your next gathering or for yourself, enroll in one of our classes to learn the art yourself. © 2019, Allen Stoneware Gallery LLC. All Rights Reserved.